Toyota unveiled the two newest 'members' of the Prius range of vehicles at the 2011 Detroit Moto Show earlier this month. The new Prius v mid-size hybrid-electric vehicle and the Prius c Concept vehicle join Toyota's hybrid line-up, broadening the appeal of Prius. The other 'members' of the Prius range are the current third-generation Prius, which has been on sale in Australia since mid-2009, and the Prius Plug-in Hybrid Vehicle (PHV), which is currently undergoing trials with customers around the world. With the proposed expansion of the Prius line-up to four variants, the evolution of Prius may improve the acceptance of hybrids. "This is no ordinary family. It's a modern family with a Prius for everyone," said Bob Carter, Toyota Division group vice president and general manager. "The Prius v is an all-new dedicated hybrid vehicle, and all future Prius family members will be as well. 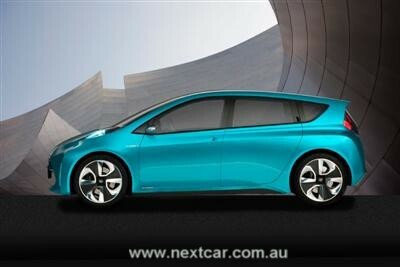 They will all share common Prius attributes but will be unique, with a special appeal to different buyers." 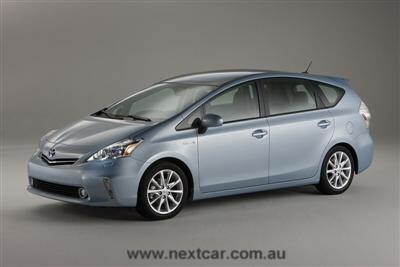 Prius was launched in Japan in 1997 and in Australia in 2001. 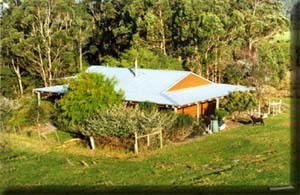 More than two million have been sold globally, including more than 16,000 in Australia. Prius has been a technological flagship vehicle for Toyota, offering features such as Touch Tracer display, solar-powered ventilation, smart key system with push-button start (Smart Entry and Smart Start), an advanced parking guidance system and LED headlamps. The new Prius v, with "v" expressing the vehicle's versatility, will meet the needs of growing families with active lifestyles while providing the same attributes traditionally found in the Prius 'DNA'. It will share the platform and Hybrid Synergy Drive technology of the current-generation Prius. Featuring a compact exterior yet spacious interior, the Prius v will offer over 50 per cent more interior cargo space than the current Prius. With a balance between outstanding spaciousness, refined style, and smooth aerodynamics, Prius v has a low 0.29 coefficient of drag. It is a new vehicle designed from the ground up, with a shape that evolved from Prius rather than being an elongated version. The exterior styling is sleek, rounded and bold, with an extended roofline that allows the vehicle to retain the triangular silhouette symbolic of Prius. The trapezoidal-shaped front features sharp-edged headlamps, wind-slipping aero corners for improved aerodynamics and an enlarged under grille, which all help provide a unique design evolving from the current Prius model. The new Prius v's rear styling is highlighted by a tailgate, intricate combination taillights and a specially designed roof spoiler that improves air flow. Inside, the Prius v emphasises overall proportion with spaciousness and flexibility for active families. Comfortable interior space and good visibility have been assisted by a high seating position, ample head room and generous rear legroom. A low, wide-opening rear hatch reveals 971 litres (34.3 cu. ft) of cargo space behind the rear seats, making it the most spacious dedicated hybrid vehicle on the market. Comfortable seating for five is specifically designed for young families. Sliding second row seats allow for easier ingress and egress and rear-storage flexibility, with a 45-degree recline for greater comfort. The 60/40 split-folding rear seats present four different seat arrangements that provide excellent usability for passengers and luggage, while a fold-flat front-passenger seat allows for extremely long cargo. Like the current-generation Prius, the Prius v is a showcase of technology that will include many of the same standard features including four driving modes (Normal, Power, Eco and EV). A new evolution in hybrid vehicles with excellent cargo space and the Prius heritage of environmental performance and fuel economy, the Prius v will go on sale in the U.S. in the second half of this year. While the current Prius has ushered hybrid technology into the mainstream, and the Prius v will provide roominess and versatility for active families, compact car buyers may be interested in a smaller hybrid at a lower price point and with superior fuel economy. The Prius c Concept, with c representing a "city"-centric vehicle, may appeal to young singles and couples who want a perceived eco-sensitive, high-mileage, fun-to-drive Prius. This vehicle with urban appeal will pursue outstanding fuel efficiency in a compact package, while also providing a surprisingly spacious interior. It will include many advanced technology features, including some offered on the current Prius. Prius c Concept is the inspiration for an additional Prius model that will come to the U.S. market in the first half of 2012 as the most value-oriented hybrid in the U.S. market with the best fuel economy of any "cordless" hybrid. Since launch, one of the main efficiencies of Prius has been a hybrid system with its own on-board recharging system that never needed to be plugged in to take people where they wanted to go. With the addition of new technology and shifts in the market, the Prius Plug-in Hybrid is a new model that may represent the best of both worlds - the superior fuel economy of the Prius with added EV driving capability. Depending on driving conditions, Prius Plug-in can be driven approximately 20 km on battery power at speeds up to 100 km/h. It is this limited driving distance that will deflect interest in Plug-in hybrids. The compact lithium-ion battery provides less weight and a quicker recharging time, taking about 100 minutes on 220 volts. It can be "topped up" anytime with a convenient short charge. After the EV power is depleted, the Plug-in performs like an economical third-generation Prius. Unlike pure EVs, it will be a seamless transition for consumers, with the only difference from a regular Prius being that it can be plugged in at convenient intervals. More than 600 lithium-ion-battery powered Prius Plug-ins are taking part in a demonstration programme around the world, including five in Australia. The programme's goal is to demonstrate plug-in technology, educate and inform the public, evaluate performance, and better understand the benefits to future customers. This will help pave the way for an on-sale target in the U.S. in the first half of 2012, initially in 14 states. Availability in all remaining US states will be a year later. There is no specific plan to launch this vehicle in Australia though.